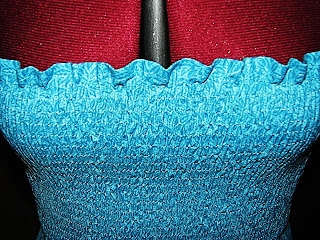 Hawaiian Blue Summer Dress - How To - Sew, What's New? This style is a very fast and easy dress to make. Its perfect for any occasion or just to wear around the house or over a bathing suit. You can make it as long or as short as you would like. 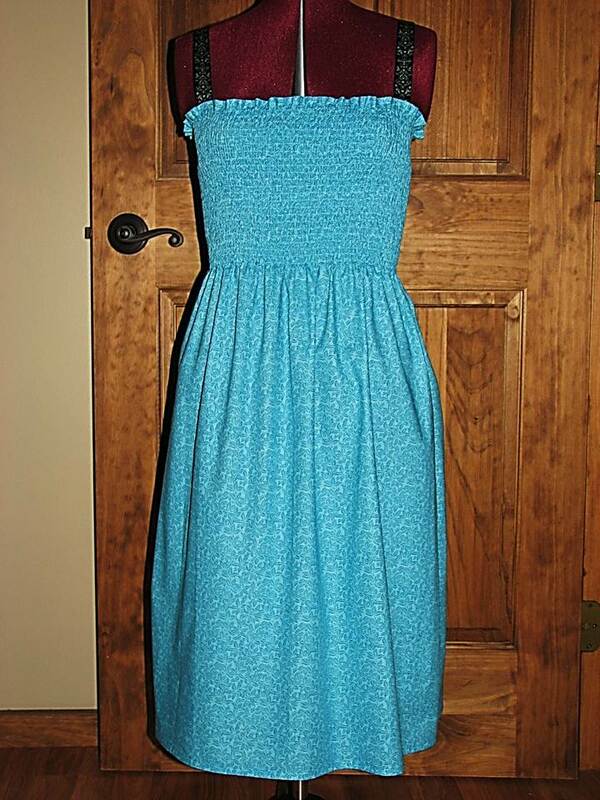 You can have shoulder straps of any style to accent the top part. 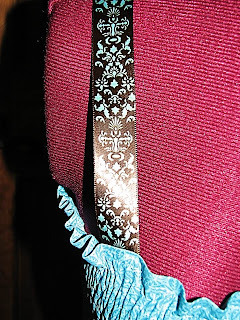 The straps can be on each shoulder, cross ways in the back or tie around the neck. Have fun with several designs. Add embellishments as I did here to my little white dress. 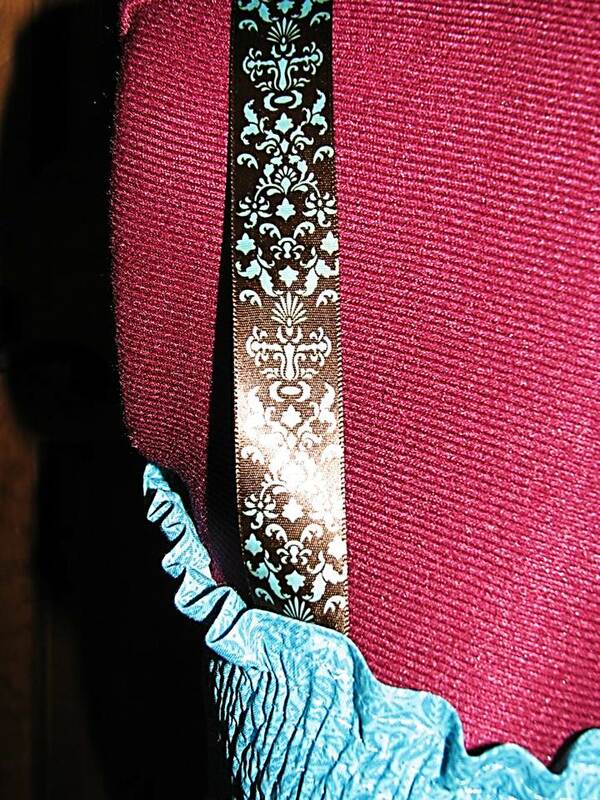 I added a silk ﻿2" ribbon with a beautiful teal and brown print. For this dress my girlfriend is a 38 so the width of each fabric piece is 57"
Begin to shir and add as many rows as you would like. 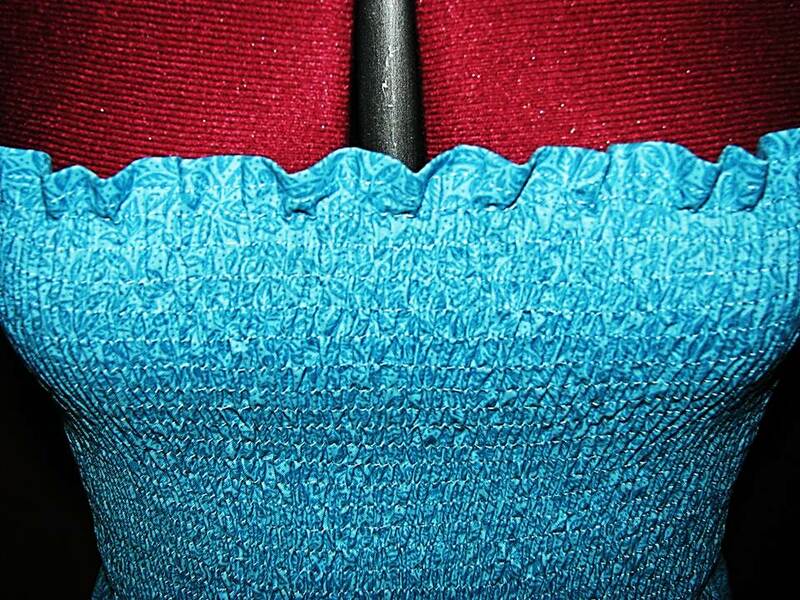 After watching the video you used for inspiration it does answer a lot of the questions, not brand, but they propose using the longest stitch length, locking stitches in at the beginning and end of the rows, stitching rows about 1/2 inch apart using the presser foot as a guide, stitched from top to bottom, no mention of hoding taut and no steaming. THREADBANGER does a great job with quick ad hoc versions of things that work. Will appreciate detailed answers. Thanks!